If the Domestic Violence Act-Victims’ Protection Bill is passed it will become mandatory to offer flexible working hours, and up to 10 days paid leave, to people with experience of domestic violence. Whether this bill comes into law or not, it has brought issues about domestic violence and the workplace into public consciousness. Forward looking organisations will put an active family/whānau violence policy in place, before being required to by law. Domestic violence is an epidemic in New Zealand, and is one of our most pressing human rights issues. Over half of all women in this country, and an even higher percentage of trans* folk, will experience some form of domestic violence. Men are also affected. People with experience of domestic violence need time off and support, so they can recover from trauma, and take steps toward becoming permanently safer. It is important that people have enough time to engage with agencies, and make choices about their living situation, as well as considering or beginning court processes. Domestic violence is expensive for organisations. The crime costs New Zealand employers $3,371 per affected employee, per year, mainly through attrition and reduced productivity. More than half of employees leave full time work after entering a violent relationship, causing further inequality. Those who stay in work are more likely to be sick, unsafe, and unproductive. Supporting employees and volunteers who experience domestic violence makes good sense; and it has been proven to engender loyalty, commitment, and productivity. More importantly, your organisation can play a role in helping people become safer. It is particularly important to make sure a person with experience of domestic violence is connected to a domestic violence agency. This is the most effective tool for achieving ongoing family/whānau safety. People need flexible hours and/or domestic violence leave to access this support. Identify options for the future. Many people with experience of domestic violence will need to apply for a protection order through the Family Court. The aim of a protection order is to prevent the perpetrator from contacting the victim. Flexible hours and domestic violence leave can enable your employee to gain a protection order, and thus increase their safety. Providing up to 10 days paid leave, and flexible working hours for people with experience of domestic violence is likely to become law. Your organisation can still take further steps to ensure that people can access support, so they return to work with protection from further harm. 1. Appoint workplace Family/Whānau Safety Champions (FWSC). FWSCs initiate routine conversations about domestic violence, and know about domestic violence agencies, as well as encourage people to use the Employee Assistance Programme, if your workplace has one. The FWSC role will be most effective if there are a minimum of two champions, representing at least male and female from the gender spectrum. 2. Give people with experience of domestic violence the option of taking all their leave entitlements consecutively. 3. Consider granting unlimited unpaid leave. More than half of people with experience leave full time work after entering a violent relationship, so offering unlimited unpaid leave will give your employee the best chance of returning to the workforce after their relationship has ended. It also promotes gender equality, because most people with experience of domestic violence are women. Working with providers like Shine will help you take steps towards making your organisation domestic violence free, such as by utilising Shine’s workplace DVFREE program. Shine also offers a free online tutorial about domestic violence. Almost everyone agrees that all forms of domestic violence must be stopped. You can make it easier for people to get help and become safer. Offering time, agency support, and understanding will give people the best chance of success. 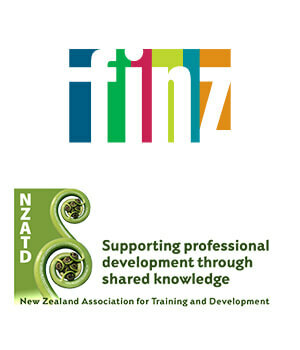 To discuss DVFREE™ for your organisation, please contact Shine: Holly Carrington at 09-520-8632 or hollyc@2shine.org.nz. The Human Rights Commission: InfoLine: 0800 496 877 (toll free); Fax: 09 377 3593 (Attn: InfoLine); Email: infoline@hrc.co.nz (for general enquiries); TXT: 0210 236 4253. Nicolina is a masters student in Māori and Pacific Development at the University of Waikato. The author is not a legal expert, if you need specific advice, please talk to a lawyer.